To an outsider, it would seem that Hillsborough has experienced something of a musical renaissance in the last few years. Yep Roc Records, which celebrates its 20th birthday with the Yep Roc 20 festival next weekend, moved to the Orange County town in 2012. Around the same time, Hillsborough residents formed the town’s first community radio station, WHUP, which went on the air in 2015. And just this month, a new record-store-meets-taproom called Volume will open its doors to the downtown. As a town that spans 4.6 square miles and has a population of just over 6,000, Hillsborough makes an unlikely hotbed for music. But these developments — which Yep Roc 20 helps to celebrate with an outdoor concert next Saturday at Hillsborough’s River Park — are the natural product of a community that has always been rich in creativity. 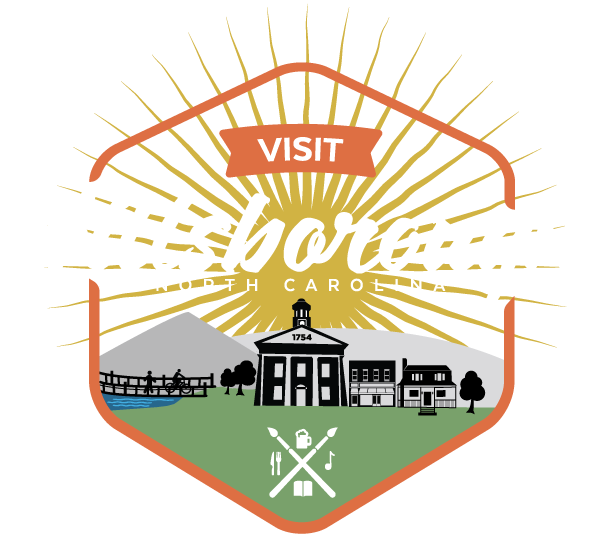 Indeed, years before Yep Roc opened its doors there, Hillsborough established itself as an improbable epicenter of history. Just north of the intersection of I-40 and I-85, a stretch of highway gives way to downtown Hillsborough, defined by the crossroads of Churton St. and King St. No fewer than seven official historical markers dot the short walk up the hill on Churton St., giving a glimpse of the various movements that have impacted Hillsborough. The town was established in 1754, before American independence, and even then it was no stranger to action: a quarter mile from the center of town, a group of rebel farmers was hanged by colonial officials in 1771. (These farmers, who called themselves the “Regulators,” have been immortalized by a certain bookshop in Durham.) Nearly one hundred years later, the area saw the largest surrender of Confederate troops to end the Civil War. Before the label settled in Hillsborough, Yep Roc was the project of two childhood friends, co-founders Glenn Dicker and Tor Hansen. Both had worked at Rounder Records, headquartered in Boston at the time, in the early 1990s. While Hansen moved to North Carolina — then in the thick of an indie rock boom in places like Chapel Hill — to work in retail for a record store chain, Dicker started up his own label, the aptly named Upstart Records. With Upstart, Dicker began to build relationships with artists like Nick Lowe and Los Straitjackets, who would ultimately wind up on Yep Roc’s roster. By 1997, Dicker had moved to North Carolina to join Hansen in launching Yep Roc. Along with the label, the two formed Redeye, a music distribution company that helps fill, in the form of getting records on shelves, the demand created by labels like Yep Roc. Dicker and Hansen started suitably small, mostly releasing records by local bands. Los Straitjackets continued to work with them, one of their first truly “national” acts. But it was the addition of Nick Lowe — perhaps best known for penning Elvis Costello’s hit “(What’s So Funny ‘Bout) Peace, Love, and Understanding” — that really put the label on the map. In the words of Dicker, he was Yep Roc’s “great legitimizer.” Once people noticed Lowe was on the label, more artists began to seek out Yep Roc on their own. Dicker acknowledged, though, that Yep Roc’s definition of “success” may differ from that of other labels. While the label has pulled internationally touring artists such as Lowe, it never adheres to any particular scene or market niche. Looking at the lineup for Yep Roc 20, from local Americana favorite Mandolin Orange to garage rockers The Fleshtones, it’s impossible to pin down any one genre or style that defines the label’s roster. Instead, the co-founders proudly tout an artist-focused approach that includes choosing music that the two of them quite simply enjoy. Fortunately, financial success has followed for the label. After being headquartered in the Alamance County town of Haw River, Yep Roc set up shop in Hillsborough five years ago, followed last year by Redeye. The town’s unique combination of small-town community and proximity to the larger Triangle were driving factors in the move. “I think that we really found an open-armed community from the first time we opened our doors,” Maupin said. Maupin, who had met Dicker and Hansen in the early days of Yep Roc, was brought in as general manager in 2010. He also joined the board of WHUP when it started up, one of the ways the label has engaged the community since moving to Hillsborough. The Southern Folklife Collection at UNC-Chapel Hill, for example, has partnered with Yep Roc to physically release archival music recordings, while local businesses and restaurants have helped support the upcoming festival. In a town like Hillsborough — where, Maupin mentioned, you might run into the mayor while getting your morning coffee — a palpable sense of community engagement underpins the efforts of a label like Yep Roc. It’s this symbiotic relationship between the label and the town that has made Hillsborough a home for Yep Roc the last few years, and Yep Roc 20 aims to showcase that for the first time. And for a family of artists, it seems there’s no place more suitable for a reunion than in Hillsborough. For more information on the Yep Roc 20 festival, which runs Oct. 19 to 21 at locations in Carrboro and Hillsborough, visit yeproc.com/yr20.